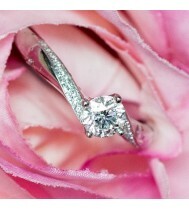 Engagement Rings There are 14 products. We have a large selection of diamond engagement rings from round brilliant cuts, princess and other fancy cut diamonds, set in different ring styles and designs in our Cheshire showroom. 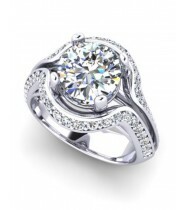 Based in Poynton, Stockport you can view our latest collections or, if you would like a more unique engagement ring, why not let our in-house jewellery designers create you a bespoke engagement ring. 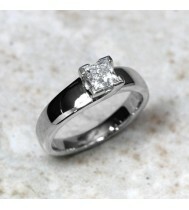 This platinum diamond solitaire ring is set with a 0.28t round brilliant cut diamond and assessed as a colour H with Si1 clarity. 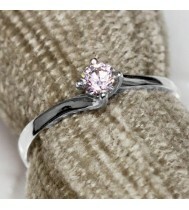 The ring is very simple in design with a 4 claw setting. 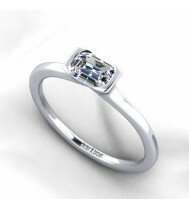 Emerald cut diamond solitaire engagement ring, set with a 0.54ct emerald cut diamond and set in a platinum demi rub-over ring. 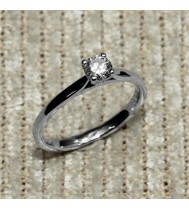 A Bespoke platinum diamond ring, designed and made in-house by Lester and Brown. 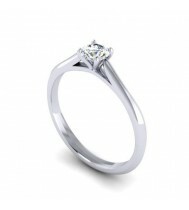 The central diamond is a G.I.A certificated, 1.51 carat, F colour, SI1 clarity. Beautiful, and unique. 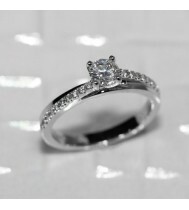 A 0.35ct Round brilliant cut diamond set into a 18ct white gold 4 claw setting and seated in a traditional knife edge band. 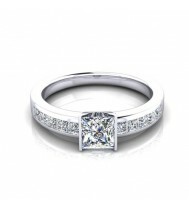 Set in the centre of this engagement ring is a 0.40ct round brilliant cut diamond which is claw set into a 4 claw setting. 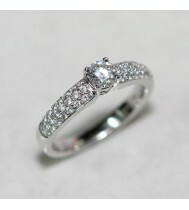 On either side of centre stone, in the shoulders of the ring, there are small round diamonds that are pave set into the band. This platinum diamond solitaire ring is set with a 0.25ct round brilliant cut diamond and assessed as a colour G with Vs1 clarity. The ring is very simple in design with a 4 claw setting that slightly curves around the diamond and creates a twist effect on the ring. This round brilliant cut diamond solitaire is set with a 0.44ct diamond in the centre and with 10 small diamonds in each shoulder which brings the combined diamond weight to 0.59ct.